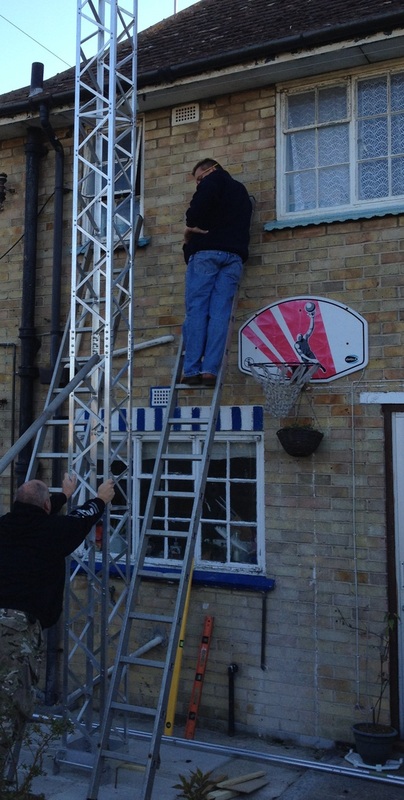 There was no work done on my Alimast from Aerial-Parts of Colchester last weekend because I was at the RSGB Convention so the plan was to get everything finished off this weekend. The design for the bracket had been worked out and I’d done all the indoor work on my new rotator. The weather forecast was good. 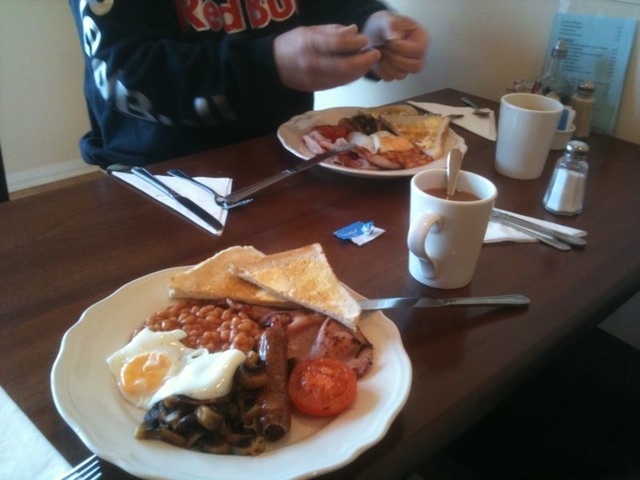 Needless to say, when we took a break halfway through the morning for bacon rolls, Yan and Chris didn’t get any! 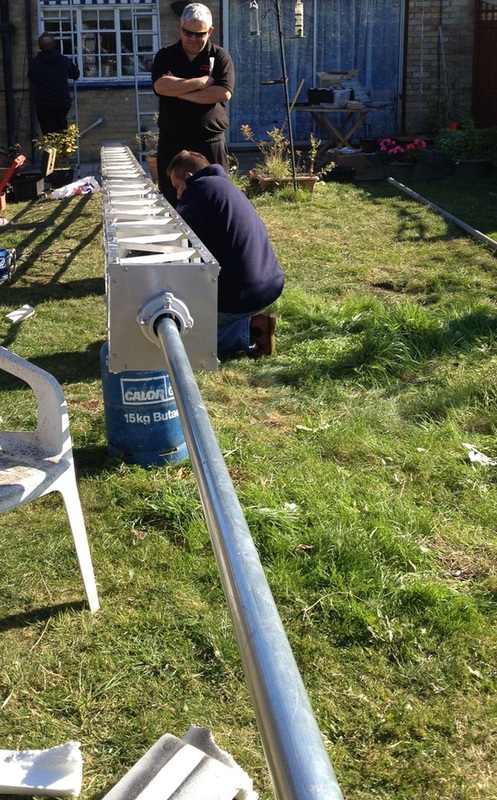 The first thing to do was to get the mast raised into place and mark everything up for the brackets. While this was all being done, the rotator and thrust bearing were mounted to the top section of the Alimast along with a stub mast. 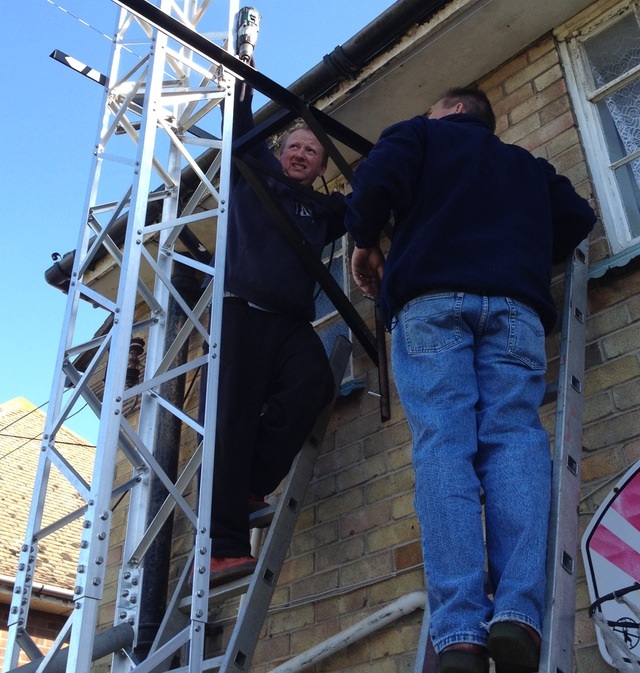 We then lowered the mast and fixed the final section in place. At this point it became clear that the although the winch I’d bought would be adequate for the job, the pulley that had been sourced simply wasn’t strong enough. 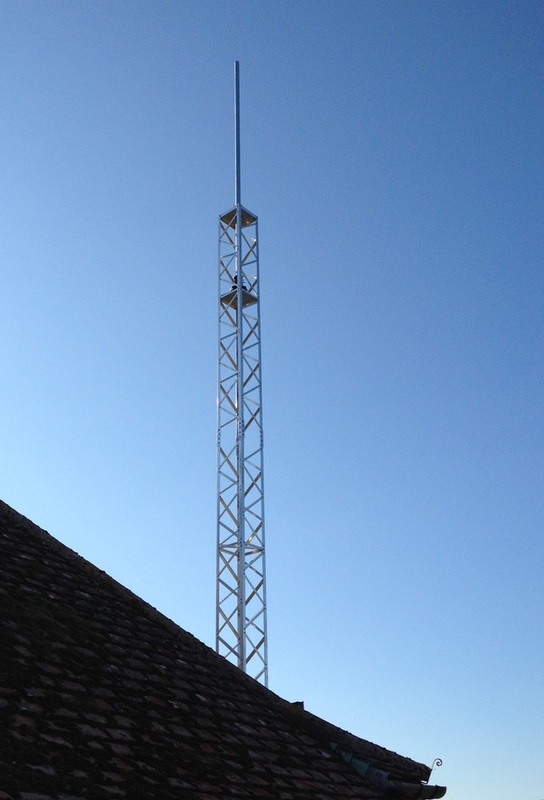 One person could easily raise and lower the mast when there were three sections but adding that top section complete with rotator, thrust bearing and stub mast made it far too heavy for a single person to lift and it was almost too heavy for the five of us. 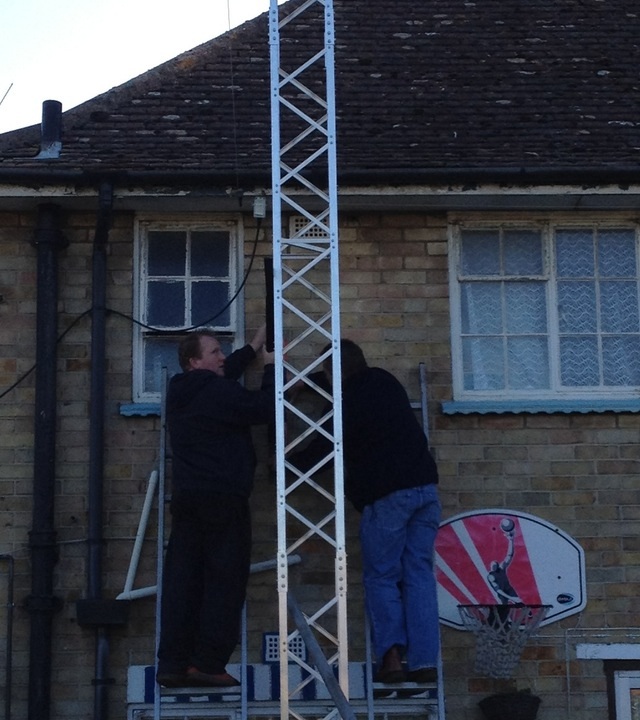 We decided to raise the mast as it was and fix it in place so that we could check the sturdiness of the bracket. 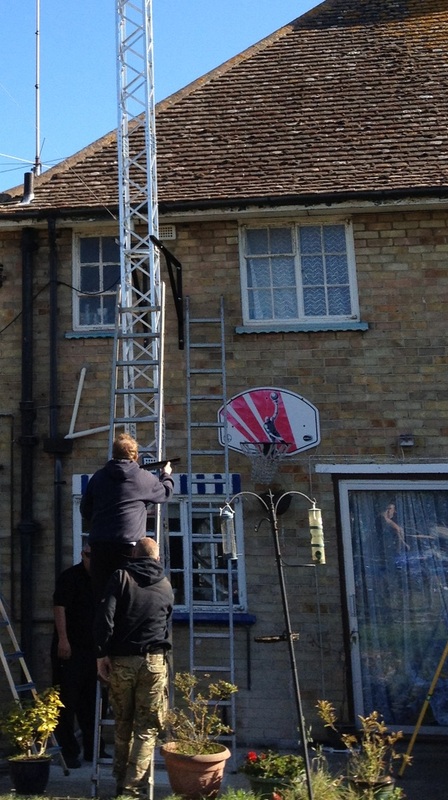 Between the five of us and by taking rest breaks and supporting the mast on a ladder, we managed to get it vertical. 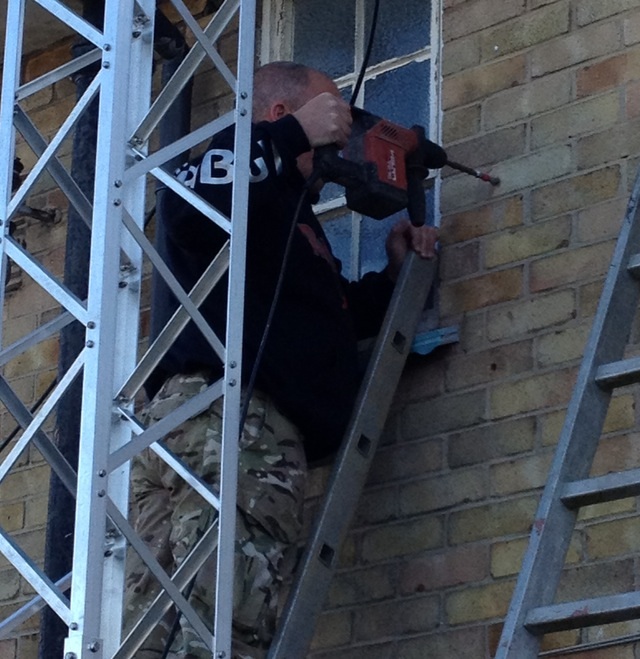 Although the front restraining bracket is bolted into place at the moment we’re working on a spring release mechanism which will allow it to be released from ground level. 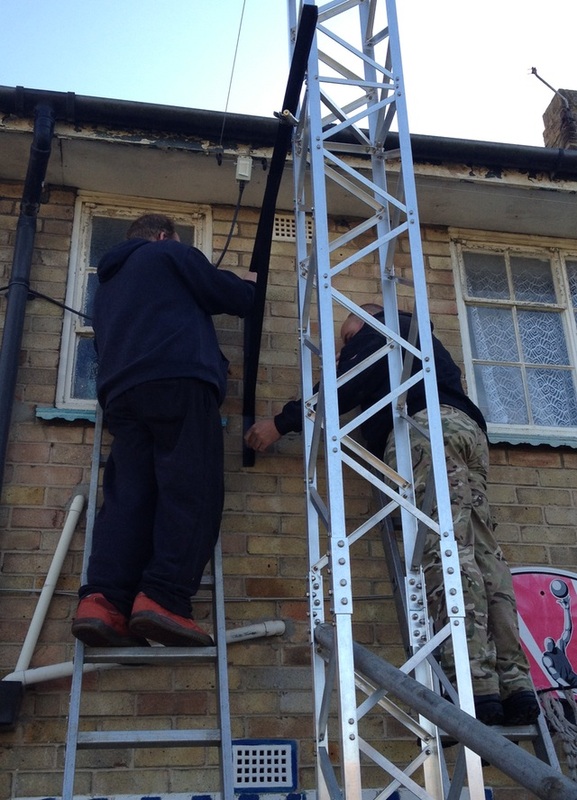 With the mast fixed in place it was time for a wiggle test – We gave it a good shake from side to side and back to front and realised that due to the length of the bracket, there was a little side to side movement. 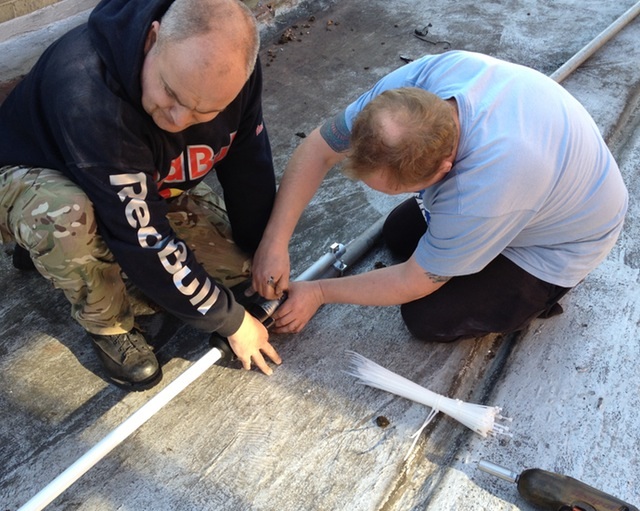 An extra brace was fashioned out of steel and fixed from the left bracket over to by the drains which has strengthened everything up nicely. 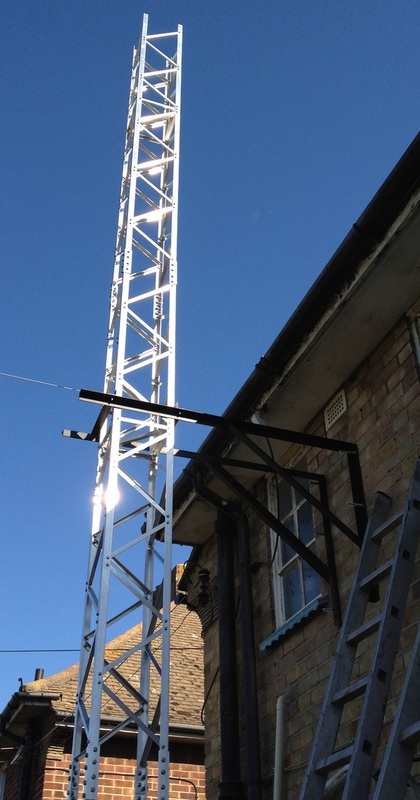 So here’s the first shots of the full length of the Alimast from Aerial-Parts of Colchester with the stub mast on top. 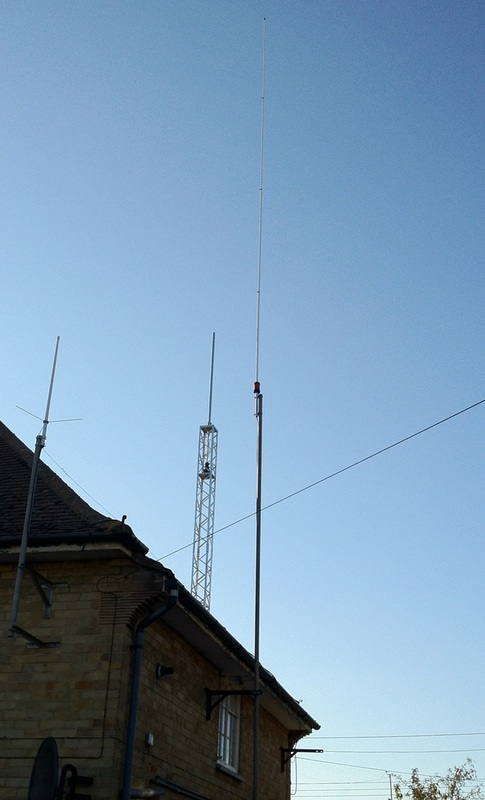 After this we then took down my 10m 5/8 vertical that you can see in the picture above and replaced it with a new Sirio “Gain Master” vertical for 10m. 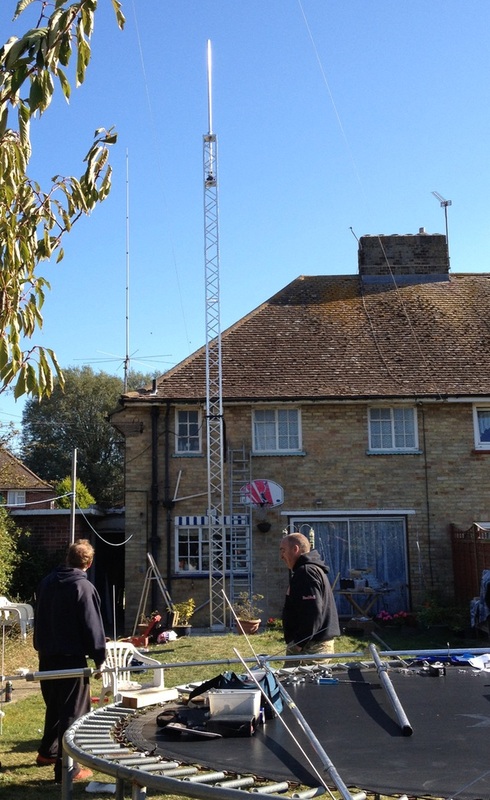 This new aerial is getting very good reports and I’d decided to put one up, not least because it has a huge claimed bandwidth. I like to operate all the way from the bottom of 10m using data modes up to the top using FM and the 5/8 simply didn’t tune the whole band. 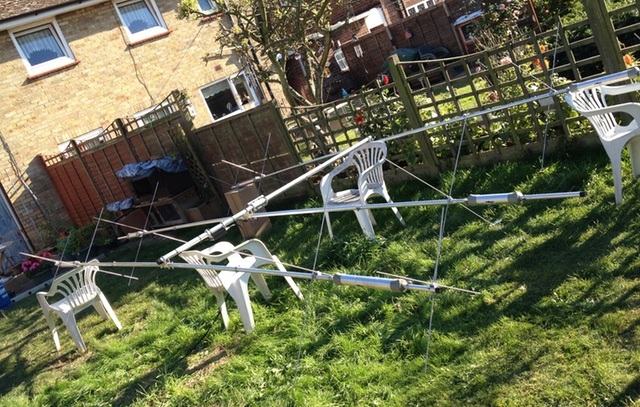 To round off the day we completed building my Cushcraft MA5B and that’s in the garden supported by some old chairs ready to go on the mast. 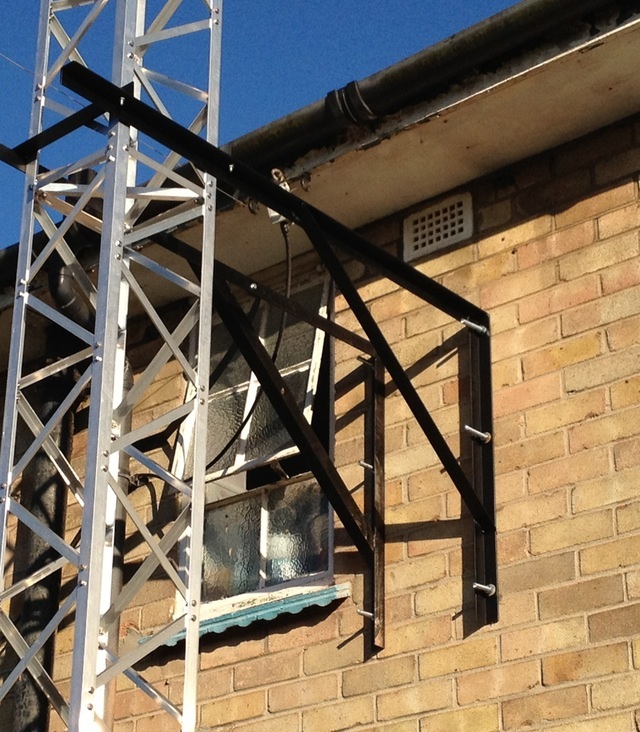 Finally, here’s a couple of shots of the bracket that Yan built to support the main Alimast. You can see the support strut which was added on the left side (yes, the window does still open) to prevent side to side movement. I still want to get this sorted by the end of October in time for the CQWW contest. Even if the full mechanism isn’t in place to raise and lower the mast by myself then I’d like the beam to be on and ready for the contest. It may be that a temporary solution is in place which will need a few people to manage it because it would be a real shame to not be able to work the contest after all the work that’s been done so far. Once again, I’d like to thank (in no particular order), Tony (G0MBA), Yan (M0YNK), Chris (M6GSD) and Colin (M1EAK) for their help and assistance this weekend and over the last month or so, None of this would have been possible without them. 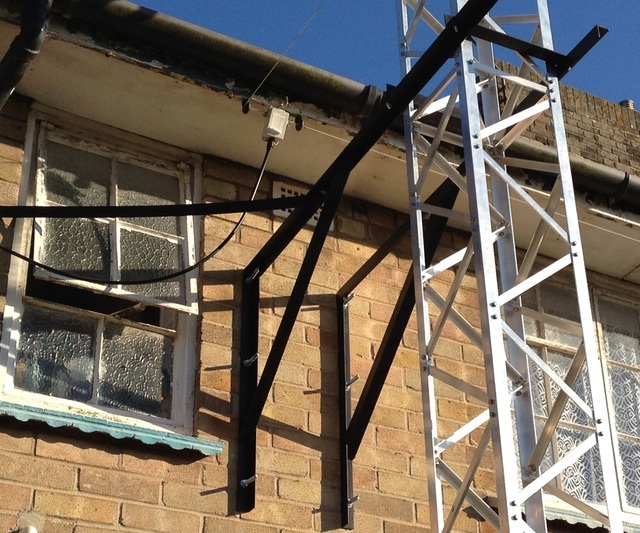 This entry was posted in Amateur radio, Construction, Sponsorship and tagged Aerial-Parts of Colchester, Alimast, bacon rolls, QSO365, thrust bearing, weather forecast. Bookmark the permalink. Nice job Keith & co, are you going to guy the top sections? No Bob, I’m not planning on guying anywhere. There are just over two sections above the point where the support bracket is and that shouldn’t require guying. 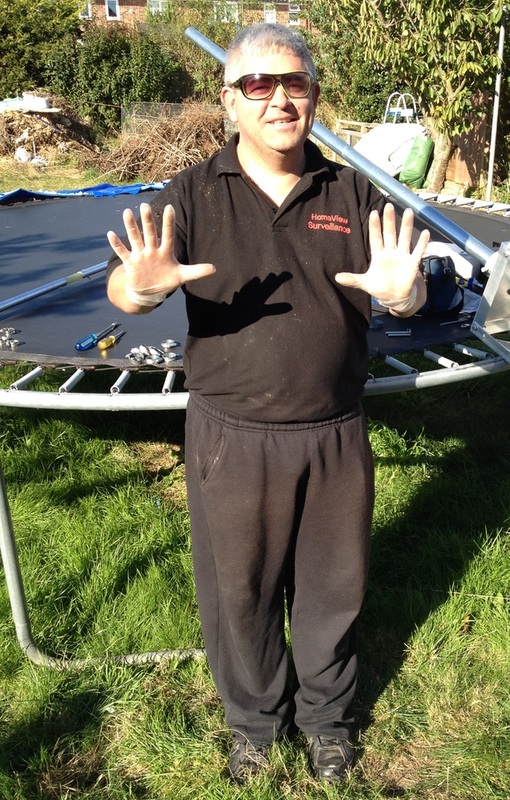 hi mate looking beter the more i look at it let us know or via yan if you need a hand the weekend, chris. Two things come to mind on seeing the setup, one-you can’t possibly be married!! 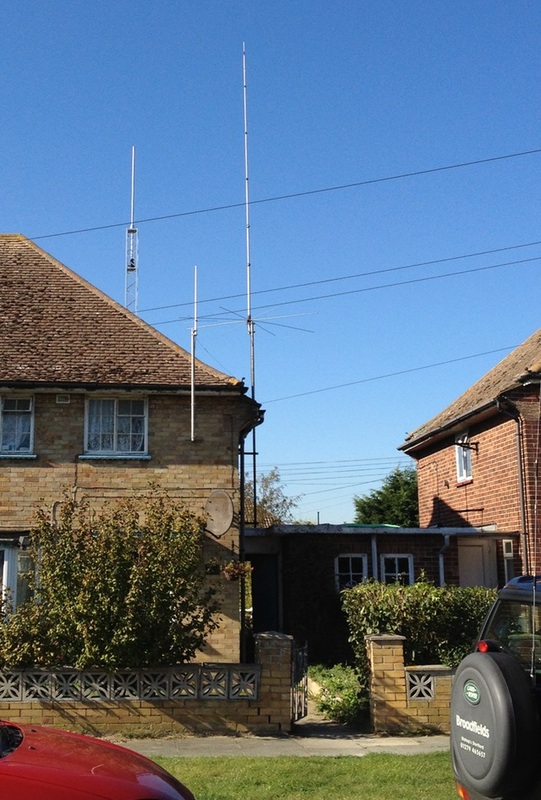 two-you have a ten metre vertical antenna aswell…plus a white stick for VHF/UHF. 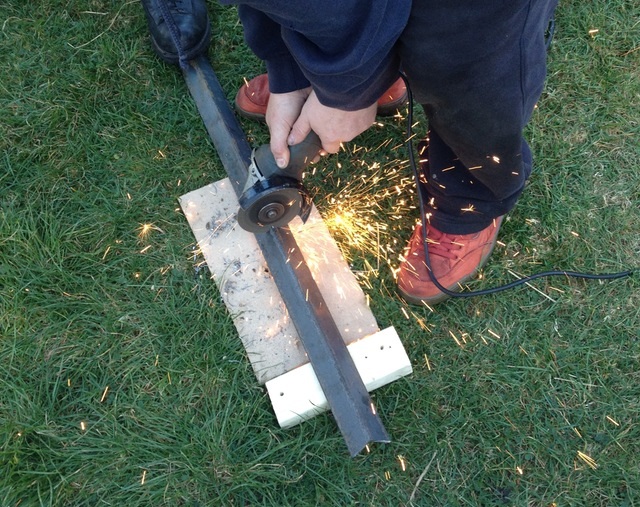 I had no joy with my Mini Beam and the manufacturers didn’t want to know…the ‘Coils’ were made of aluminium and were broken where they were clamped by screws. Heh, yes I am married and I think she’s finally got used to the view outside the kitchen window. So much in fact that she’ll probably be doing the foundation course some time this year.